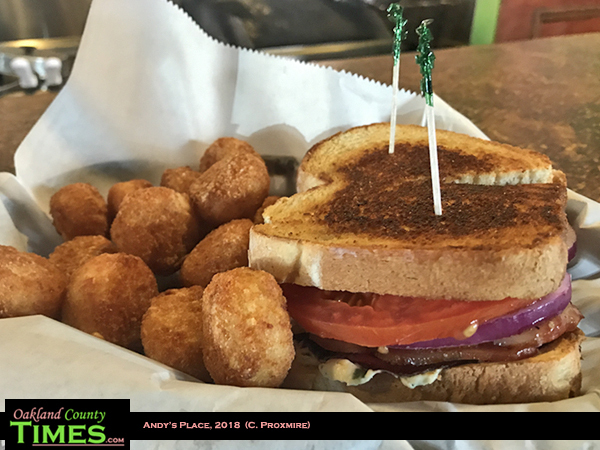 Holly, MI – Looking for a great view, great wireless and a great “sammich?” Then Andy’s Place in Downtown holly may be the spot for you. Train depot and the two railroad lines that pass next to it. 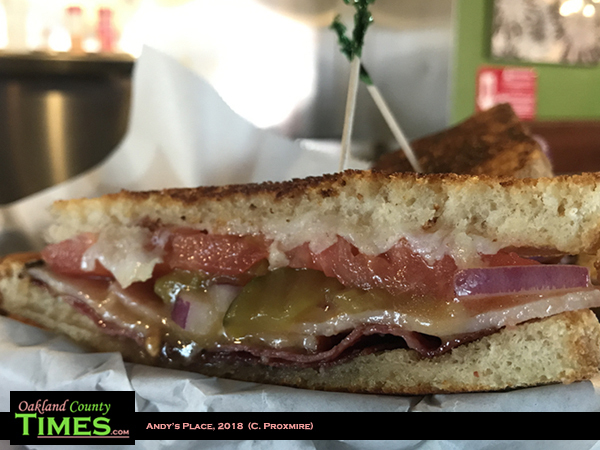 The #3 Grilled Sammich, is made with salami, tomato, pickle, red onion, Italian dressing, Provolone, Boursin cheese and Canadian bacon on toasted sourdough bread. It was a ridiculously good mix of flavors that left my taste buds tingling for more. I had mine with tater cheesers, which are basically tater tots stuffed with cheese. 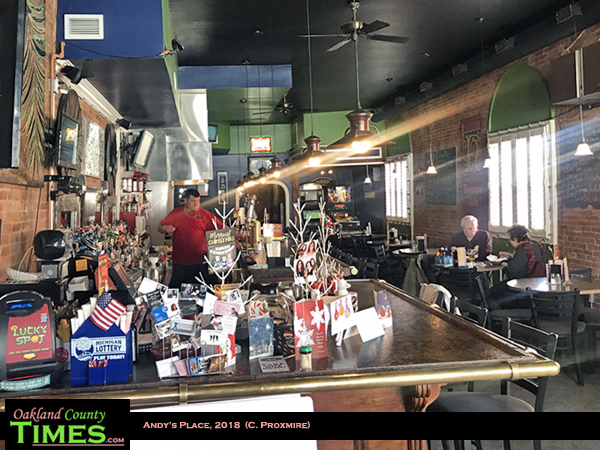 Andy’s Place is a sponsor of Oakland County Times, and I’ve gone there several times over the past year. Other Reporter Food columns on Andy’s include the East Holly Burger, the Holly Dogman Brat, and the Battle Alley Burger. 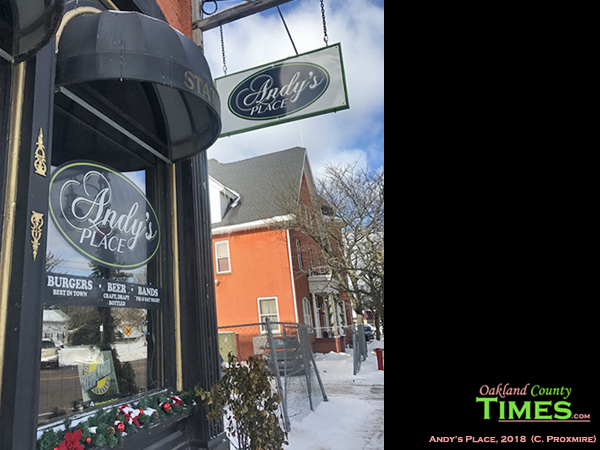 Learn more about Andy’s Place at http://andysplace.wixsite.com.